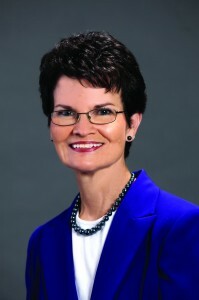 Debby Akerman is serving her last term as WMU president. A new and condensed Missions Celebration will feature mission speakers and guests on Monday, November 10, at Oklahoma City, Quail Springs. The event includes dinner and will highlight national Woman’s Missionary Union (WMU) President, Debby Akerman. In addition, Erin, a Strategy Coordinator in Southeast Asia, will share her testimony and work. A new state WMU President will also be elected. Special guests for the dinner include current, past and emeritus IMB personnel as well as Missionary Parents. “This is a very unique event where men and women who are passionate about missions can rub shoulders with some of Oklahoma’s missionary heroes,” said Kelly King, BGCO Women’s Specialist and organizer of the event. Erin (identity protected for security reasons) is originally from Oklahoma and will share some of her personal experiences in Southeast Asia. “Erin has an incredible story of surviving a plane crash and she will share both that testimony and current ways God is at work with her people group,” said King. Reservations must be made by Nov. 2 and can be made online at www.bgcowomen.org or by contacting the BGCO Women’s Office at [email protected] or 405/942-3000 ext. 4318.